Hi Everyone! I hope your all having a great week! It has been so beautiful here in northern Minnesota. A bit humid at times, but overall very nice! I know fall is creepin' up on us in a hurry and Halloween will be here before we know it. I have a Halloween treat favor to share with you today for a fun challenge that is going on at one of my favorite challenge blogs: My Craft Spot. The challenge is: 3D items! I started with cutting the box from the Tags Bags Boxes and More cartridge at 5 1/2. The papers are from K&Company Spook-tacular collection. I then cut the cute Halloween bear at 3 3/4 from the Teddy Bear Parade cartridge and all the layers. 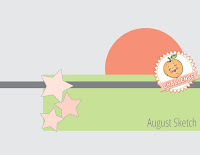 I used my gypsy to hide the face features so I could use my Peachy Keen stamps for the adorable faces. I stamped the faces using 3 sets from Peachy Keen~The PKSC13 Jan set, Pk180 Erkle & Merkle and the PK294 The Cornie's. I added rosy cheeks using chalk, freckles, eyes and teeth with a gel pen and to finish, a layer of glossy accents to the eyes. I tied on a bow with harvest orange crinkle ribbon and black string twine. I tucked in a fun tag using My Craft Spot ticket tags die. 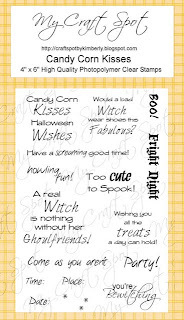 I stamped the background with pattern blocks stamp set, the sentiment with spooky treats stamp set and the outer part with the tickets stamp set......All from My Craft Spot. I filled the cello bag with some yummy recess peanut butter cups and tied on a black string bow and tucked it in the box. All ready for giving away! My Craft Spot is also having another new stamp release coming up September 2nd and you are all invited!!! 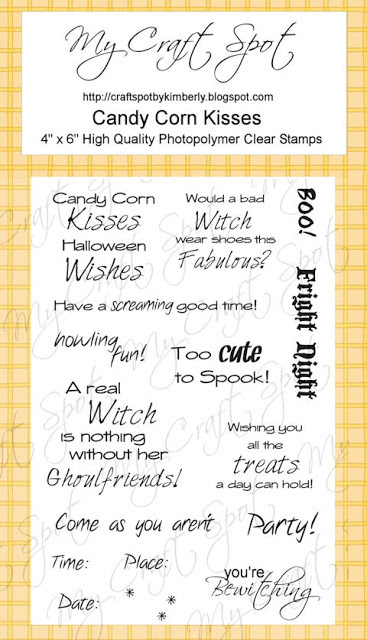 Go check all the details HERE and for a chance to win the Spooky Treats stamp set!! Hi Everyone! I hope you are having a great day! 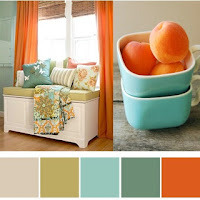 I am excited today as I am a Guest Designer over at My Sheri Crafts! I was a winner on her challenge blog a few weeks ago and am honored to be her Guest Designer for this challenge: Thanks so much for having me Sheri!! Make any project with a chocolate or marshmallow on it! I started with a fun clear box from Jaded Blossoms and filled it with yummy graham crackers, Hershey's chocolate candy bars and marshmallows:) Perfect for making your own individual s'mores... all in one small package! Cute, ha? I made a belly band using a Martha Stewart punch and inked the edges with TH walnut stain. I wrapped some fun My Mind's Eye & My Craft Spot's bakers twine and tied a double bow. The adorable porcupine is cut at 2" plus the layers from the Campin Critters cartridge. The sentiment is stamped using Joy's Life Wild Life Puns stamp set. Be sure to check out what the DT members have created for inspiration and then come back and join in the challenge! We'd love to see what you create! Be sure to stop over at My Sheri Crafts to see what the amazing Design Team has for inspiration and the come back and play in the challenge! We'd love to see what you create!